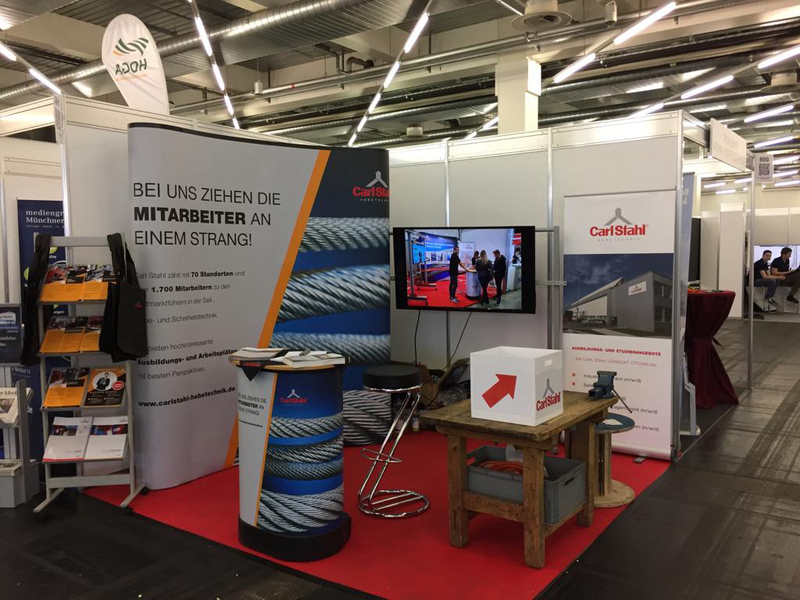 Carl Stahl Süd GmbH's Munich location presented itself at this year's "Apprenticeship & Study Days" under the motto "School Passed - Start Through at Carl Stahl". The leading trade fair for education and careers for the greater Munich area took place from 22 to 23 March in the rooms of the MOC Event Centre. And this already for the twentieth time. Pupils had the opportunity to inform themselves about career opportunities in direct discussions with companies, universities, schools and institutions. 78 exhibitors from a wide variety of industries presented well over 250 apprenticeships and training opportunities to the 4,900 visitors. For the Carl Stahl location in Ottobrunn near Munich, this trade fair was an important platform to present itself as an attractive and potential employer in the region in order to counteract the shortage of skilled workers. The Carl Stahl range of training and study places, student internships, practical semesters and bachelor theses is absolutely impressive. Carl Stahl was honored by the IHK 2019 as a top training company, offering future junior employees a variety of opportunities to start their careers at an early stage. Both in the commercial, technical and commercial area. Above all in the Greater Munich area as an attractive economic region with many companies, there is an intensive mutual solicitation for young talent. 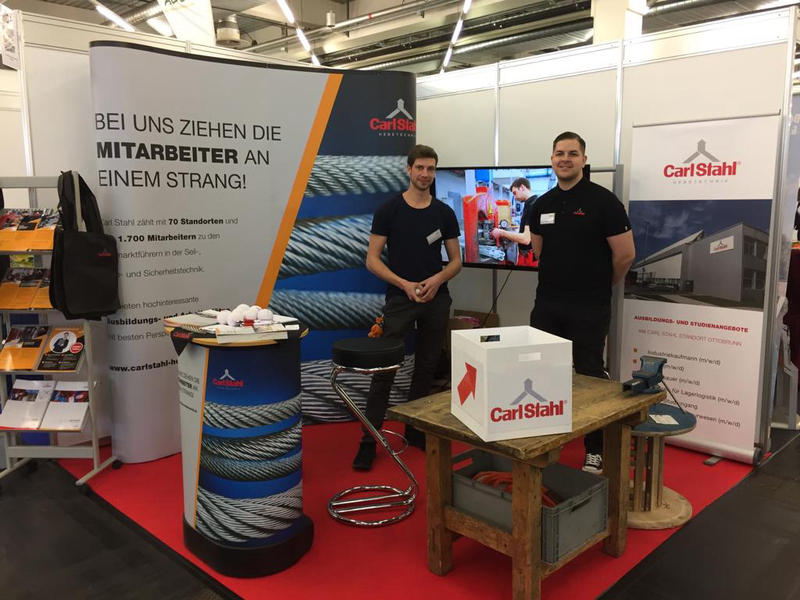 The advantages that Carl Stahl offers as a family-run, medium-sized, world-class company can be very well conveyed in personal communication at a training trade fair. 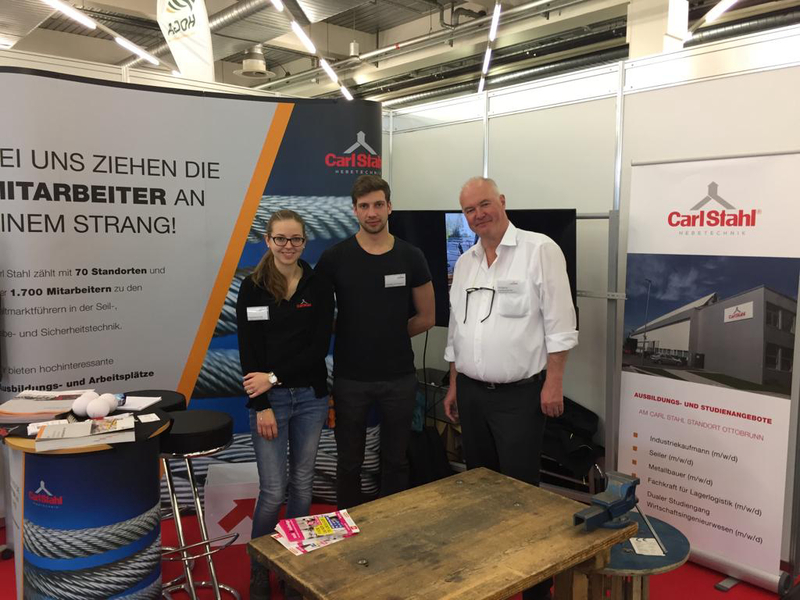 Magdalena Höß, co-responsible for the trade fair appearance at Carl Stahl Süd GmbH in Munich, drew a positive conclusion: "We had many interested students at our stand and had many good, intensive discussions. Subsequently, we have already received some applications. Now we expect further positive reactions in the form of more applications and internship enquiries".